There are currently no upcoming performances, but keep an eye out! I will be speaking at St Mary's University, Twickenham on Friday 15 June 2018 about my work in puppetry and how it has aided me to find a voice for my mental health. Due to unforeseen circumstances, we are unable to bring Sealfie to the Swindon Fringe Festival. Do not worry! We won't leave you hanging! Instead, we are dragging Do You Mind? out of retirement and BACK to the Swindon Fringe Festival for the second time! So if you missed it back in 2016, you've got another chance to catch it this year! Do You Mind? is a show about dating, trust and Generalised Anxiety Disorder that combines story-telling, puppetry and an old-school overhead projector to share one moment of honesty between one woman and a man she really fancies. An afternoon of honesty, humour and learning to breathe. Do You Mind? is coming to Croydon! Do You Mind? brought to you by Bear Dog, uses storytelling, puppetry and an old-school overhead projector to present a moving piece about the experience of having Generalised Anxiety Disorder and how it affects the life and relationships of one woman, expressed through a single moment in her life. Buttons is a show about their journey to Auschwitz and the stories they discovered on the way. Using a mixture of live performance, spoken word, shadow puppetry and object manipulation Joni and Dana attempt to recount the story of their ‘sort of’ holiday, whilst exploring the themes of memory, family and war. Do You Mind? brought to you by Bear Dog, uses storytelling, puppetry and an old-school overhead projector to present a moving piece about the experience of having Generalised Anxiety Disorder and how it affects the life and relationships of one woman, expressed through a single moment in her life. The same evening we have Rob Gee bringing Forget Me Not, which is primarily a whodunit, using many of the tropes and plot devices familiar to the genre. 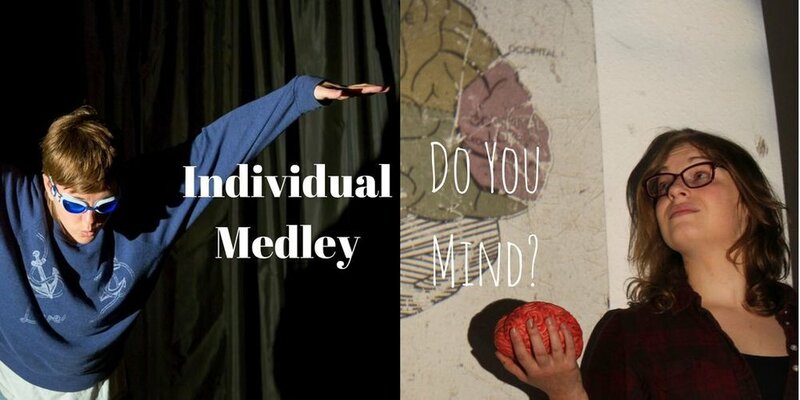 It’s also a one-person spoken word comedy theatre show that has a lot to say about how we treat and perceive people with dementia.